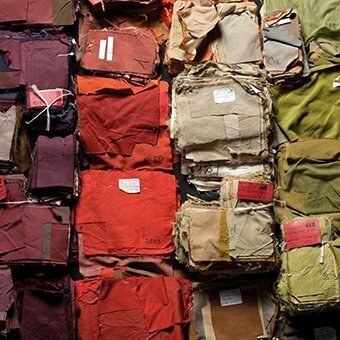 Even though dyeing is a thousand-year-old technique, garment dyeing is a modern concept. Even though dyeing is a thousand-year-old technique, garment dyeing is a modern concept. 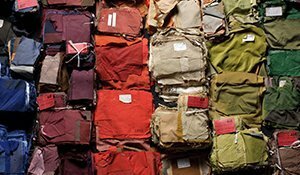 Up until the mid-seventies, the method of dyeing fully fashioned garments after manufacturing (as opposed to the conventional method of manufacturing garments from pre-dyed fabrics) was not used for commercial clothing production. 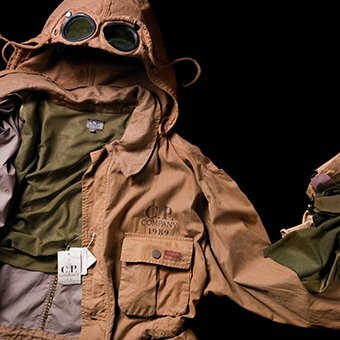 Occasionally, it was used domestically to overdye old and faded clothes and resellers of used or surplus military clothing also used the technique. Garment dyeing wasn’t as an important part of the fashion industry as it is today. Then came C.P. 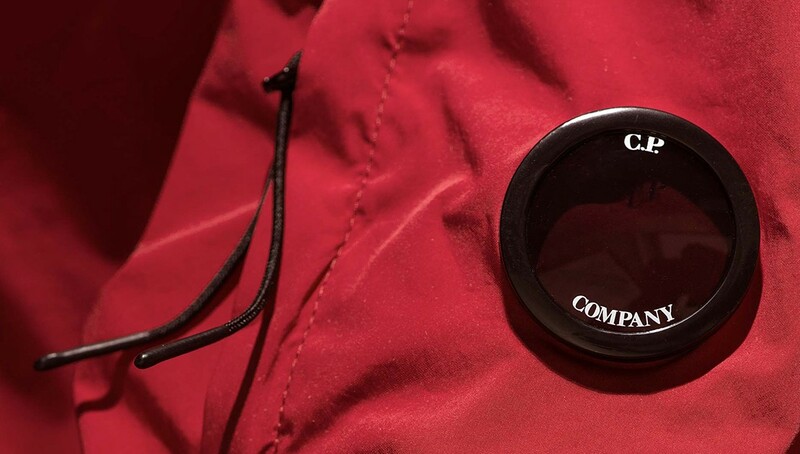 Company who changed the game completely, thanks to an idea from Massimo Osti. 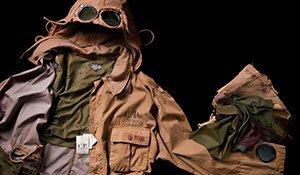 He began experimenting with the garment dyeing process in the Seventies until he became the first designer to dye a finished garment in a single bath of colour, constructed from multiple fabric or fibre types (nylon and cotton, or linen, nylon and polyurethane coated cotton, rubber, leather). 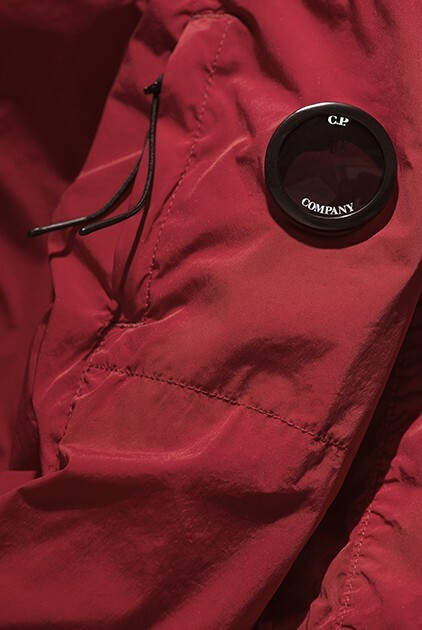 Before Osti, garment dyeing hadn’t been successfully applied but it became the first part of the C.P. Company revolution – something that wasn’t easy! 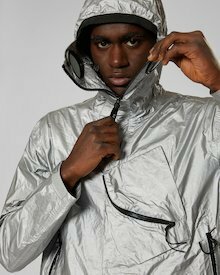 The complexity of developing both a practical and chemical understanding of how each fabric responded differently to the dye, how much it would shrink, how much colour it would absorb, required painstaking, expensive research and prototyping work. 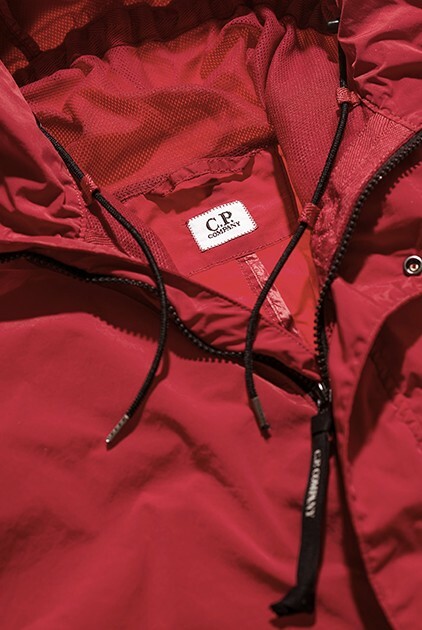 Fourty years on from when the brand was created, C.P. 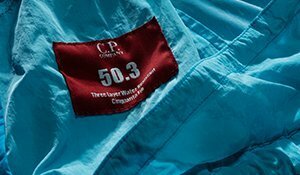 Company still has a love for garment dyeing, something they continue to perfect. 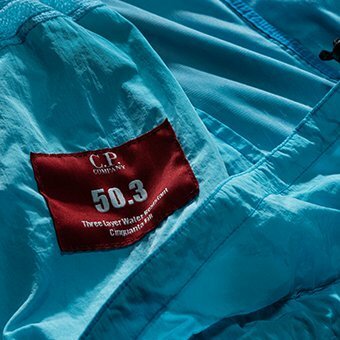 Through this process, unique nuances of colour are applied to the garment, making it also unshrinkable, but above all giving it a worn-in look, which is in complete contrast to pieces made from stiff fabrics. 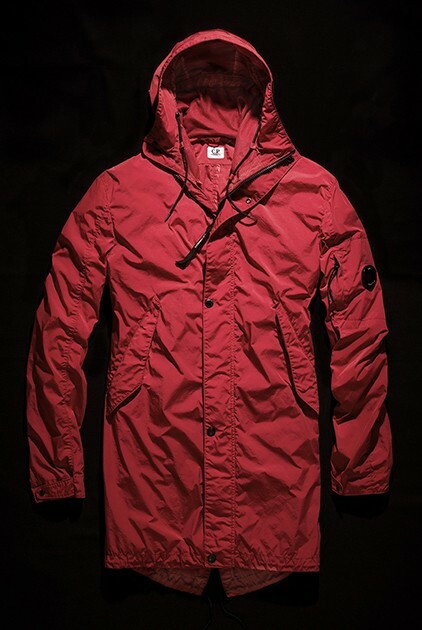 Garment dyeing is a difficult art to master, but it’s definitely worth the hard work. C.P. 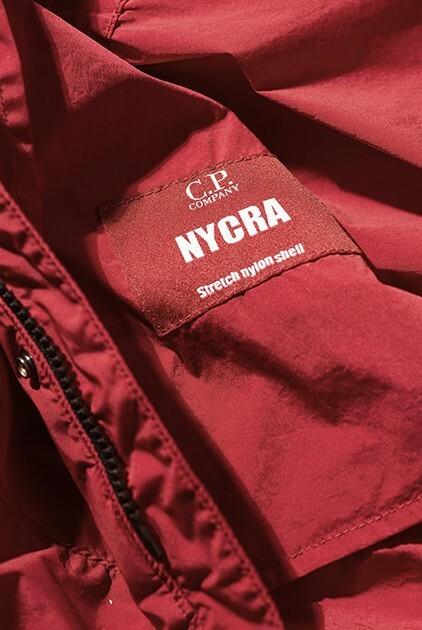 Company celebrates a long history of love with garment dyeing, creating an ultra-limited edition jacket dyed in a special red colourway, available exclusively on line.